BUY STUFF, LEARN STUFF, MESS AROUND, CONTACT ME. You can always use the above Drop-Down Menu, too! The PuttingZone is sort of like a City, so get lost and have fun! Putting is nearly half of all strokes every round and the putter is used 2-3 times more often than the driver or the wedge. And putting has FOUR skills, not just the stroke as usually taught, and these four skills must be integrated with instinctive touch and stroke timing -- Read, Aim, Stroke, and Touch. Historically, however, golf instruction scarcely concerns itself with putting, and most of the skills for putting have not been understood in terms of how body perceptions and movements cause good or bad performance. A comprehensive survey of golf instruction from 1880 to today reveals only one obscure, privately printed book on how to read putts, and no significant effort to comprehend and teach how touch or aiming actually work in the human brain and body. Golf instruction is still 95% full-swing only, and the 5% for putting is vague, inconsistent, repetitive, and almost entirely based in pseudo-science of alien expertise ill-applied to putting skills by dilettante enthusiasts without teaching knowledge of the skills, with imagined notions of what helps when science actually proves the claimed benefits are ill-founded and illusory. Numbers and computers and Latinate terminology always impress golfers as scientific, but in golf these claims of science are usually devoid of real science or vastly overblown and in fact not soundly applied to the real skills of the human body in the act of performing putting skills. 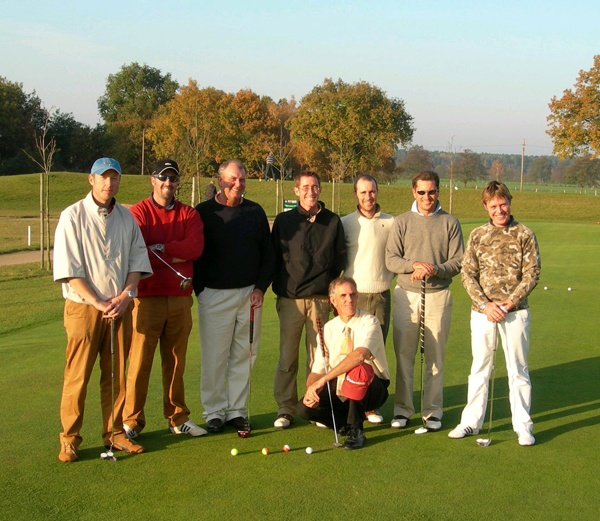 Sadly, the current legion of "putting experts" includes: "optometrists", "putter designers", "physicists", "surgeons", "technologists", "fitness trainers," "golf psychs", "caddies", "club reps", "club repair guys", "failed players", "swing gurus", "motor sports academics", and "training aid makers". In general, hardly with any significant exceptions, none of these well-intentioned people have the slightest idea about the skills of putting or how to teach good skills, but instead select one or two aspects of putting and rush headlong into golf as the newest "putting expert" where angels fear to tread. If the person is not seriously involved in teaching all four skills in an integrated manner, he is not a "putting instructor" at all, and the small parts of putting taught in isolation are likely to be unsound and harmful to the overall skills and to longterm performance improvement, even if the player experiences a temporary "honeymoon" benefit. Finding most of the problems of the skills of putting not addressed in golf history, the PuttingZone for the past 20 years has been researching, studying, and developing solutions -- problem-solving the problems left unsolved. In the PuttingZone, you will find the most comprehensive and lethally effective putting techniques in golf history -- combining the best from golf since the 1800s with advanced physics, anatomy, biomechanics, motor science, and especially the NEW neuroscience of perceptual and movement processes in the brain and body for instinctive reading, aiming, stroking and controlling distance and pace. For more on the first-ever innovations developed and taught only in the PuttingZone for the four skills, click here to read more. Want the latest? A FREE 45-page PDF on reading putts by reading the slope grade and then knowing the percentage of the putt length to use to aim above the hole -- not perfect, but simple, direct, useful! Email me for a copy geoff@puttingzone.com. Overview Read Aim Stroke Touch. If you would like a copy of the many developments in the PuttingZone, click here and type "update" in the subject line. Play my 2-minute Eyejot Welcome! Travel same day Thu. June 5 to Stockholm, fly home Fri. June 6. 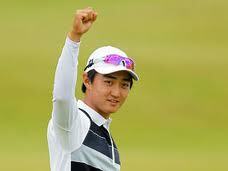 Congrats Seung-Yul Noh, PZ trained player, for his first win on the PGA Tour after some marvelous putting all week! 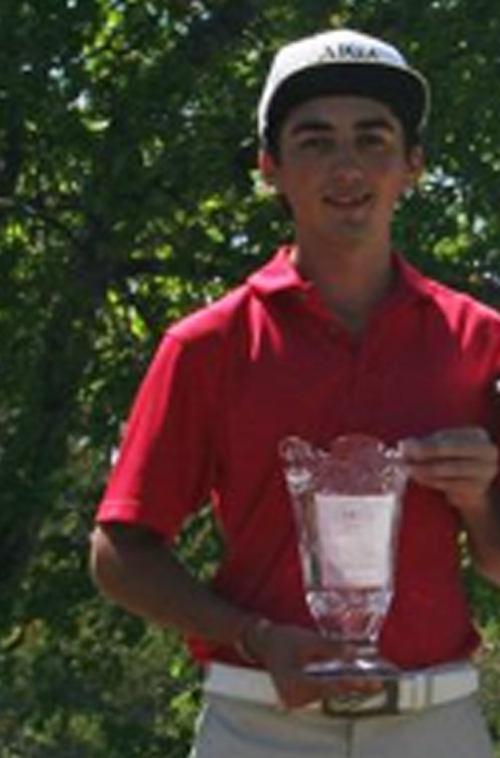 Congratulations David Grandomenico for winning the AJGA All-Star at Chateau Ela, Georgia, by FIVE strokes! David is a student at the Junior Academy at Timacuan Club, Lake Mary FL, and an outstanding young golfer, epecially with the flatstick! Welcome Courtland Warren as the newest PuttingZone Certified Player / Coach -- Courtland is also a motivational speaker and corporate consultant from Oklahoma! 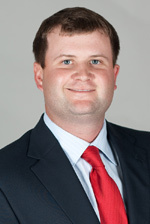 Congrats Chris Hill, PZ Coach and Assistant Coach for the University of Houston Cougars! Chris was just named TOP ASSISTANT COACH in college golf! Read the full story at the UH site! 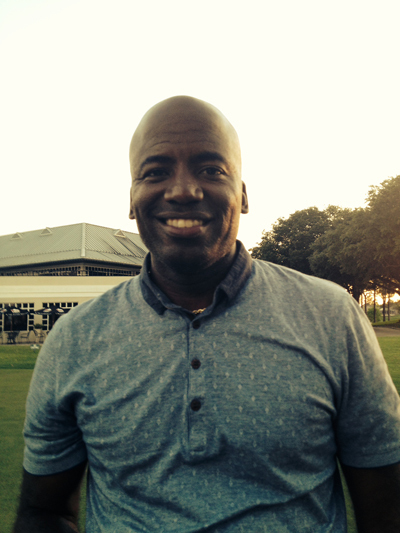 Welcome David Ogrin, the PuttingZone's newest Certified Coach! 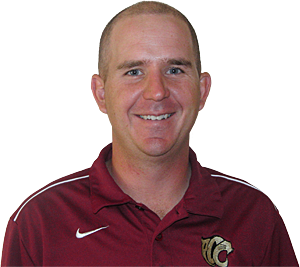 Former PGA Tour and Champions Tour player, David now teaches golf in Casper Wyoming and at Texas Lutheran University, San Antonio Texas. Visit his website at www.davidogrin.com. Teaching in Beijing China at the elite Shichahai Sports School April 11-21, 2014! Welcome four new PuttingZone Certified Coaches from the Timacuan Club's Eagles Dream Junior Golf Academy: Holton Freeman, Andrew Storm, Zach Gates, and David Madras. For more info about the Junior Golf Academy at Timacuan, view this Academy brochure. Congrats to PZ Coaches Golf Director Puggy Blackmon and Head Coach Kalen Harris and the USC Women Gamecocks for their big win in the PING / ASU Invitational against a very competitive field, with PZ Coach Mary Lou Mulflur and the Washington Huskies taking second!! New free PuttingZone pdf of all the Rules and Decisions that affect play on the green -- click here to view and save the pdf online Rules on the Green (169 pages, 3.5 MB). 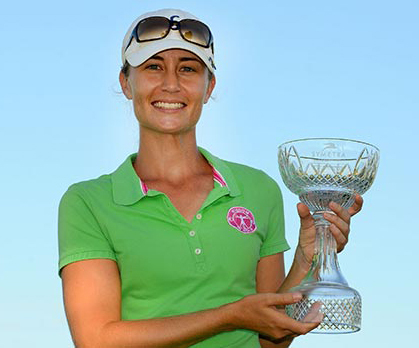 Congrats Lanto Griffin for winning the eGolf Florida Tour's Disney Palm Classic! "My putter got hot there on the back nine, but I really wasn't hitting the ball well at all," said Griffin, who converted four putts from 12 to 25 feet on Nos. 11 through 14 to keep his hopes alive. "I just got a great feel for the greens, and they were going in." The ultradwarf revolution: Superintendents from the transition zone southward are sleeping better at night because of a sweeping change in bermudagrass cultivars. Congrats Maha Haddioui, PuttingZone player on the Ladies European Tour, upon being named Moroccan Female Player of the Year! 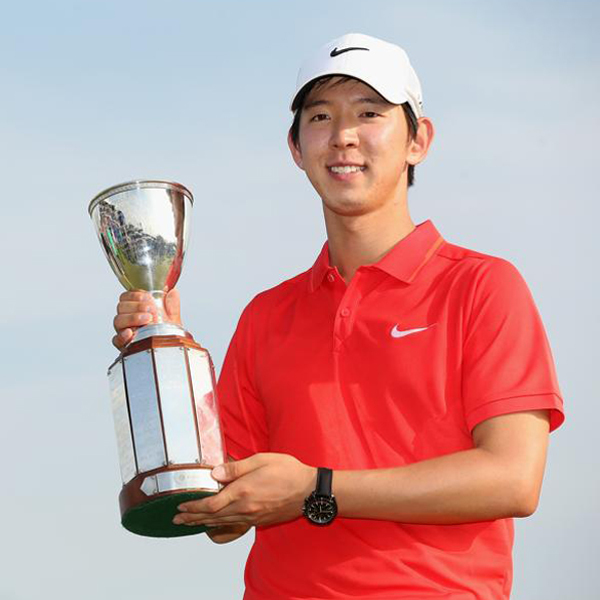 Jin follows up win in Perth on European PGA with top 20 on PGA Tour in HSBC Championship with excellent putting, 16th in the field. Congratulations Lanto Griffin (T21 in Pine Mountain GA) and Josh Apple (T17 in Pinehurst NC) for surviving Q School Stage I in style! First LPGA win at the KEB HanaBank Championship, dropping a 15-foot birdie on the first playoff hole! AMY YANG: "I had confidence in my swing and putting. Putting was really going well this week." From Jin this morning in Perth: "Hi Geoff. It's Jin. Mate I have done it!!! Just won a European tour event! Putting was fantastic. I couldn't have done it without you. Thank you very much." 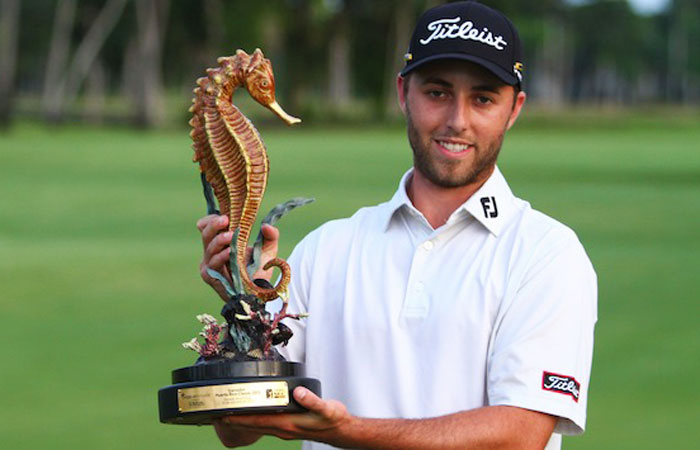 Congratulations Ryan Sullivan on winning the PGA Tour Latinoamerica Puerto Rico Classic! Final rounds of 66-65 for come-from-behind win! Megan McChrystal wins year-end Symetra Tour Championship by 2 with great putting, 68-71-68-68 and 104 putts (26 per round). Congratulations U Houston Cougars for winning the Fighting Irish Gridiron Classic and Cougar Players Kyle Pilgrim and Blair Hamilton taking 1st and 2nd Place! Congratulations U Washington Women Husky Golfers for winning the Topy Japan-US Cup with an historic 3-day team 840 and 4 Husky Players sharing the top 4 finishes! 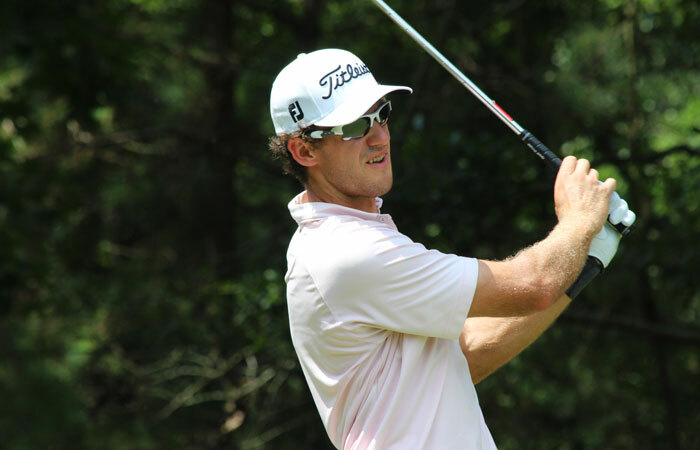 Congratulations Bruce Woodall for his win on the egolf Tour in the River Hills Classic, Lake Wiley SC -- the leading money winner on the egolf Tour with 15 of 16 cuts, 5 top-5 finishes, including two wins! 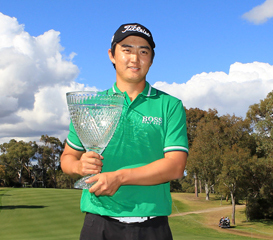 Congrats to Jin Jeong for his runner-up finish in the NGA Tour Pro Series event at Snow Hill NC! 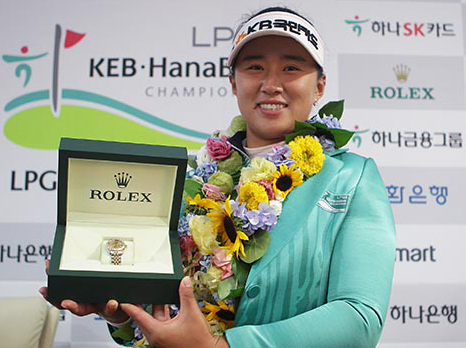 Congratulations Injie Chun, KLPGA rookie who just won the 2013 Korean Women's Open with a dramatic come-from-behind streak of four consecutive birdies with great PuttingZone putting -- coached by Won Park, PuttingZone Academy South Korea! View the video. 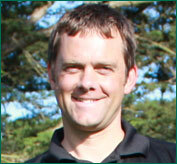 Congratulations David Orr for a good job helping Justin Rose learn better putting -- David started out as a putting instructor learning the PuttingZone methods about 9 years ago. 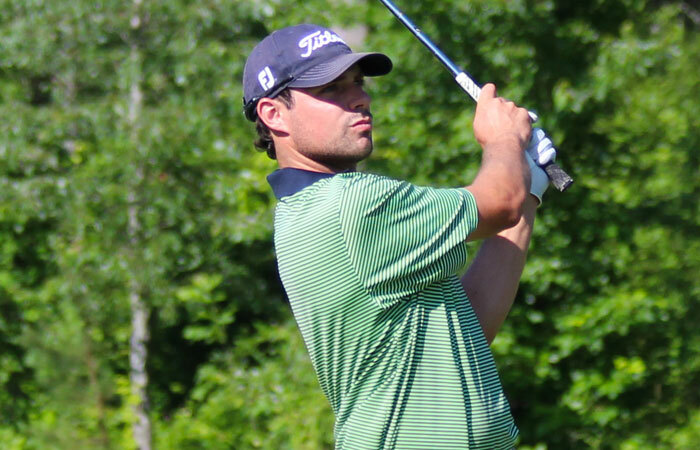 Congratulations Deal Hudson for his record winning round to take the Vermont Hickory Golf Open -- scorches the field with great ball striking and great putting! Welcome Dan Cypher at Damon Lucas' The Institute at Lake Presidential GC, Upper Marlboro MD, as the 160th PuttingZone Coach! Dan is a career US Army Major with lots of service training and experience who brings a new level of expertise to purposeful teaching and learning methods. 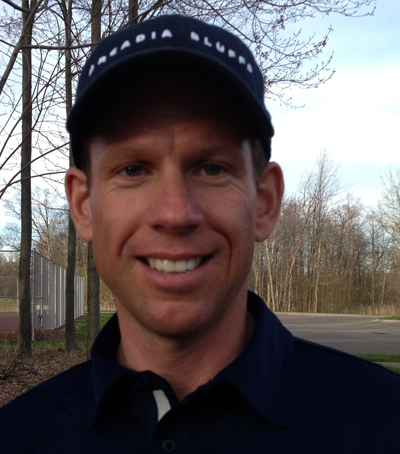 Welcome Brian Moore, Twin Lakes Golf Club, Oakland MI, as the 159th PuttingZone Certified Coach! And check out Brian's website www.bmooregolf.com. Congratulations Coastal Carolina Chanticleers for winning the Big South Championship! Head Coach Allen Terrell is a PZ Coach. 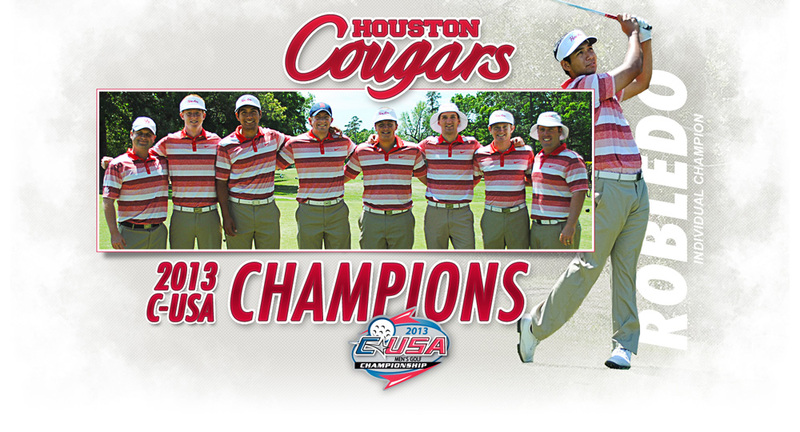 Congratulations to the University of Houston Cougars for sweeping the Conference USA title and for UH Roman Robledo's earning the title. Head Coach Jonathan Dismuke and Assistant Coach Chris Hill are both PuttingZone Coaches, and report some great putting this year and in the Conference Championship. 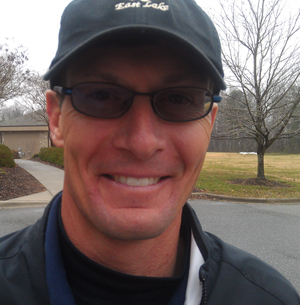 Welcome Eddie Cox, Director of Golf, Tot Hill Farm Golf Club, Asheboro NC, into the community of certified PuttingZone Coaches! Everyone who knows Eddie knows he's one of the best teachers of the game around! Congratulations PZ Coach Curt Sanders on the birth of his first child, Henry!! Welcome new PuttingZone Coaches Mary Lou Mulflur (L), University of Washington Huskies head coach, and Andrea VanderLende (R), Huskies assistant coach! Congrats U Houston Cougar Coaches Jonathan Dismuke and Chris Hill -- both PuttingZone Coaches -- for Team's ranking 4th of 114 teams in Division I for Putting Average, 6th for Putts on GIRs, and 3rd for 3-Putt Avoidance! Extremely strong! Went 3rd-2nd-2nd-1st in the Fall and started this Spring with a 2nd out of the gate! as the 154th PuttingZone Coach! 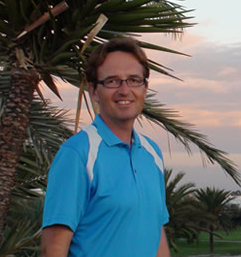 Laurent teaches top amateur and professional players in France and Morocco, with his home course in Paris, and he has top students playing at the highest levels in the US NCAA Division I competition. He is also a specialist in the mental game. 3-time Maryland State 4A Champs! 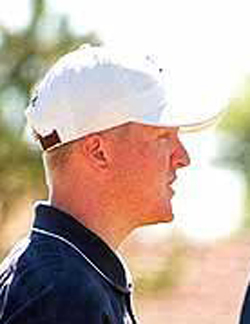 Welcome new PuttingZone Coach Brendan Ryan, El Reno OK and Windemere FL! 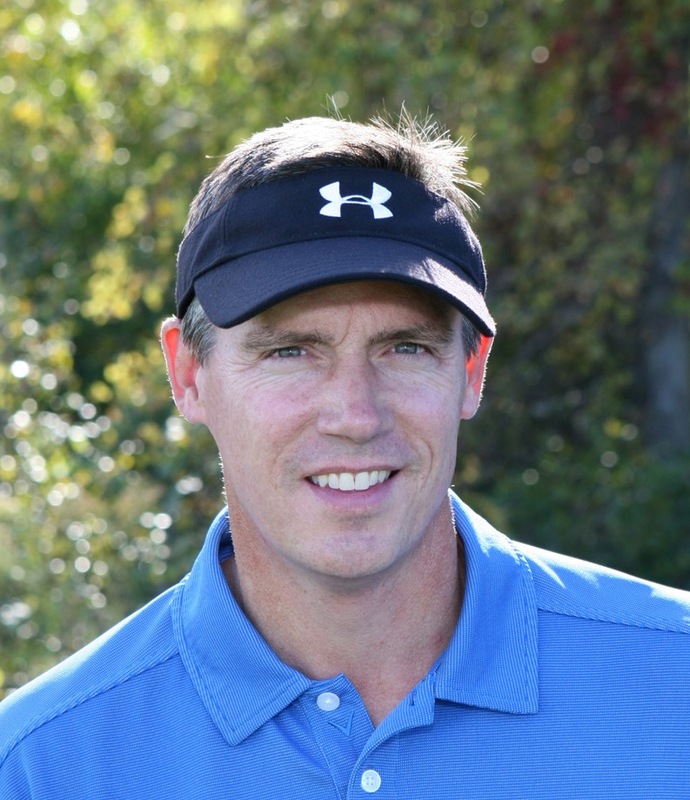 Brendan is a veteran college coach and operates the world's top advisory service for college-bound golfers, BMR Golf Management. 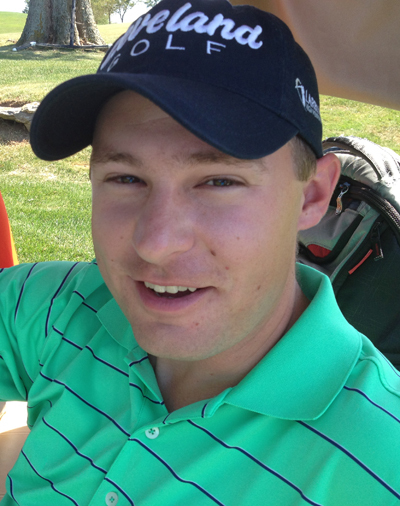 He also holds multiple graduate degrees and is currently earning his Ph.D. -- certainly a rarity among golf teachers! Laurent Jockshies with Maha Haddioui: How to Sink All Your Five-footers (in French) -- the PuttingZone now in France and Morocco! Maha just finished the LET Q-School at 20th to earn her card with a closing 67 and stellar putting! 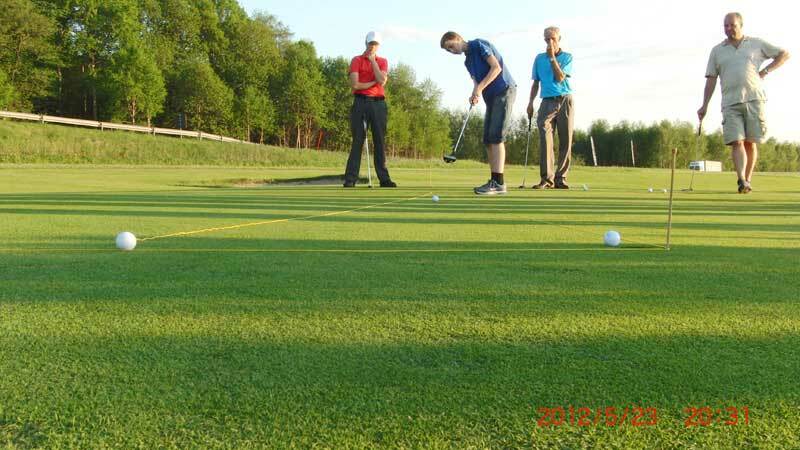 Interested in becoming certified as a PuttingZone Coach? Here are details in a PZ Newsletter from April 2012. 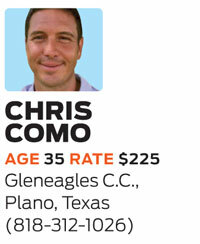 Congrats to Chris Como, PuttingZone Coach in Plano / Dallas TX -- listed in Golf Digest as one of the best of the young teachers in the nation! Welcome three new PuttingZone Coaches at Hawk Pointe GC, Washington NJ, at the Steve Bourbon PuttingZone Academy with Sal Paparone! 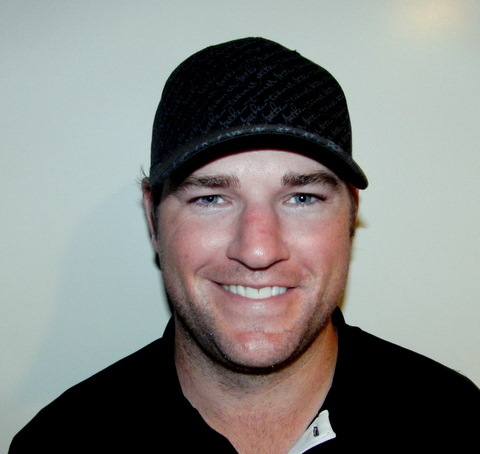 Welcome Matt Jordan, the newest PuttingZone Certified Coach, and the 4th PZ Coach in Lexington KY! Matt is also a Police Officer for the Lexington Police Department, so you know he's one diversified guy with a passion for golf! Interesting!! Tyrus York on The Golf Channel, "Solid putting week leads Watney to Barclays victory," teaching how setup and rhythm combine for solid putting! Ladling a bit of the PZ lore into TGC! A writer right out of the box ... now that's rare in golf instruction. Tyrus is nominated as the PGA Teacher of the Year in Kentucky! Good job, Tyrus. Welcome 3 New PZ Coaches Certified in Lexington, Kentucky! 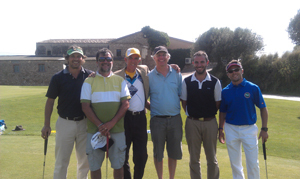 Welcome 8 new PuttingZone Coaches in Spain! 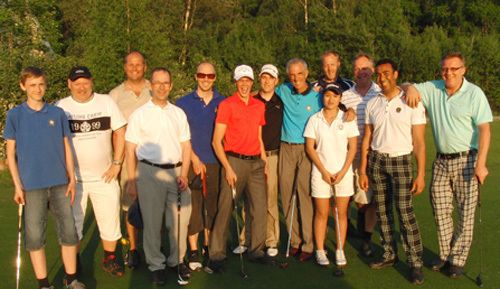 Now there are 153 PuttingZone Coaches in 20 Countries Worldwide, and growing strong! Beautiful day at Hofgards Golfklubb, Varberg Sweden, with Kalle El Anmari and students! 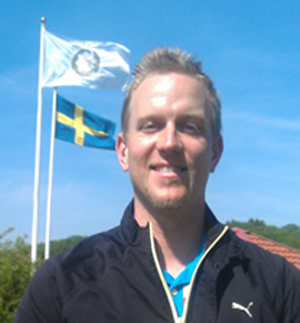 Welcome Niclas Nordstrom, Teaching Pro, Kungsbacka, Sweden, the 137th PuttingZone Certified Coach! Welcome Murray Spence! 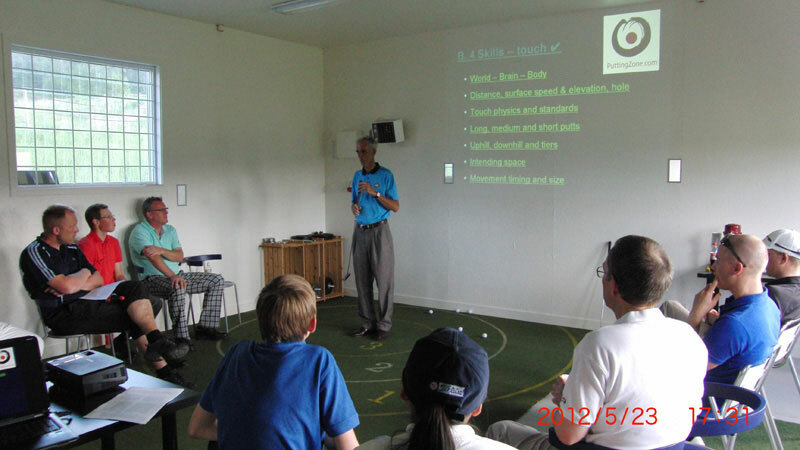 The 136th PuttingZone Coach, teaching and coaching at his ConneXion Golf Academy, Golfclub Hofgut Praforst e.V., Hünfeld Germany. Welcome 8 new PuttingZone Certified Coaches in the Netherlands! 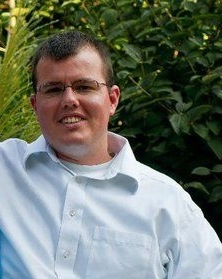 Welcome Ricky Dandy, Bethesda MD and Hollywood FL, as the 109th PuttingZone Coach! Buy the $19.95 PuttingZone Collection download (4+ Gigabytes of video, podcasts, images, texts, music, research and more -- details here) and receive the ebook Optimal Putting included for FREE. 4. All 4 of the above for $7.95. "You son of a gun! What an incredible, well done film. Very, Very Good." "This video is the most intelligent, educated, and purposeful putting instruction video I have ever had the pleasure to watch! It covers things that instructors don't even know is important to inquire about! PGA professionals and the game of golf will thank you for generations to come for explaining properly what most instructors would not ever even have the foresight to ask about or to teach. Thank you for all you are doing for the game we all love!" -- Steve Bourbon, PGA Head Pro, Hawke Point GC, Washington NJ. 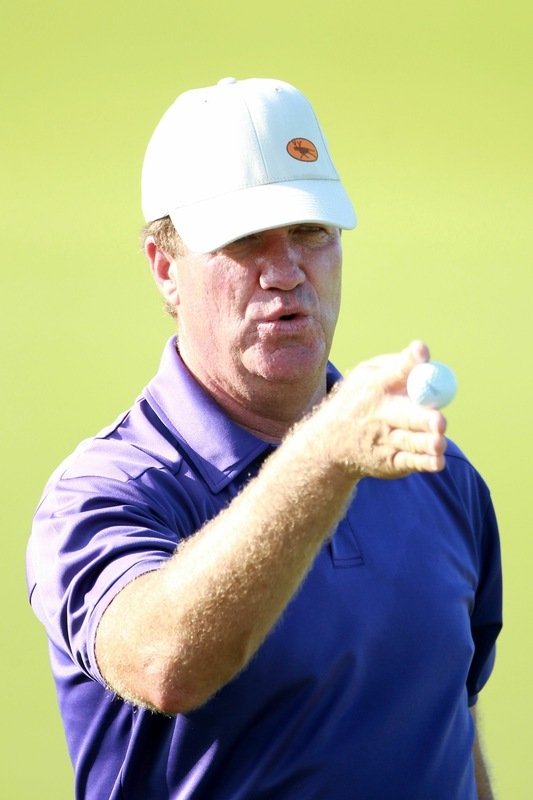 Get The Reality of Putting video download now, Steve Elkington with Geoff Mangum, the best 45-minute explanation of putting skill in the history of the game, and a cool piece of work! CLICK HERE for all the info. Take a look at the PuttingZone Videos available on the Medicus website! They're doing a cracking good job of organizing and making it all available. 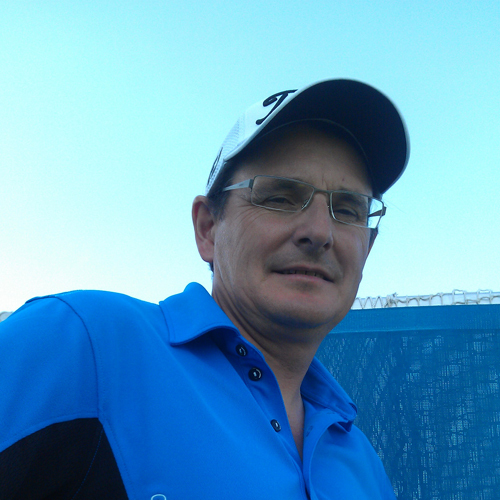 Welcome, Martin Stecher, Nienburg Germany, as the 104th PuttingZone Coach!! 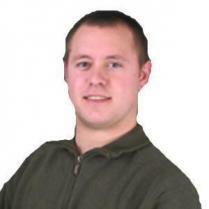 Welcome Nils Tamber and Kalle El Anmari as the PuttingZone's newest Certified Coaches! at Golf Club Grand Ducal, Luxembourg! 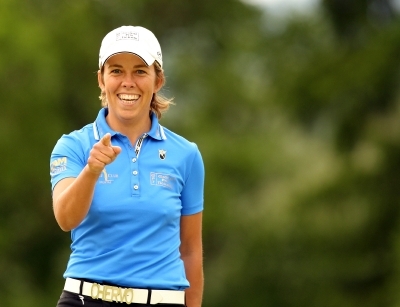 Welcome Eva Steinberger, Eva Steinberger Golf, GC Murtal, Spielberg Austria, PuttingZone's 94th Certified Coach! 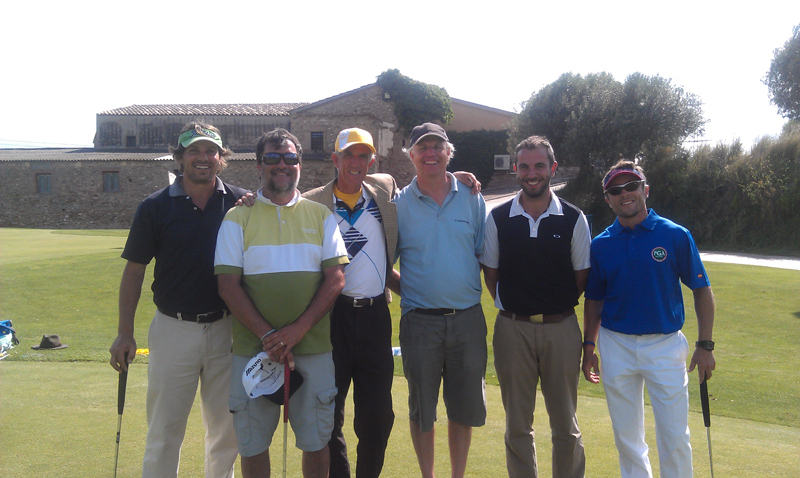 LET Playing professional and teacher, certified at Golf Club Sant Cugat, Barcelona Spain. Welcome three new PuttingZone Coaches and a new PuttingZone Academy in MICHIGAN!! Larry Hamilton's PZ Academy at Twin Lakes Golf, Oakland MI (just north of Detroit outside Rochester MI) -- the MICHIGAN LEADER in golf instruction. Watch what happens when a top golf school adds the best putting instruction in history! Top communicators problem-solving golf for golfers at all levels of skill -- the BIG difference in teaching golf. 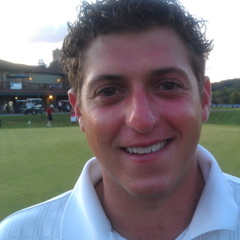 Welcome Sal Paparone, Hawk Pointe Golf Club, Washington NJ, as the 92nd PuttingZone Coach. 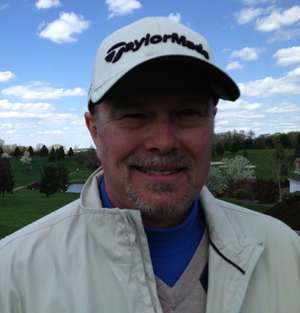 Welcome Chris Coates, Hawk Pointe Golf Club, Washington NJ, as the 93rd PuttingZone Coach. 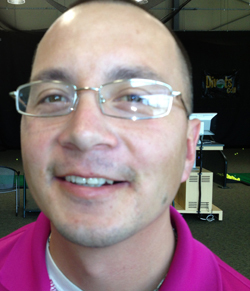 Welcome Alex Carper, Lincoln NE, and DogLegRight.com putters, as the 91st PuttingZone Coach. 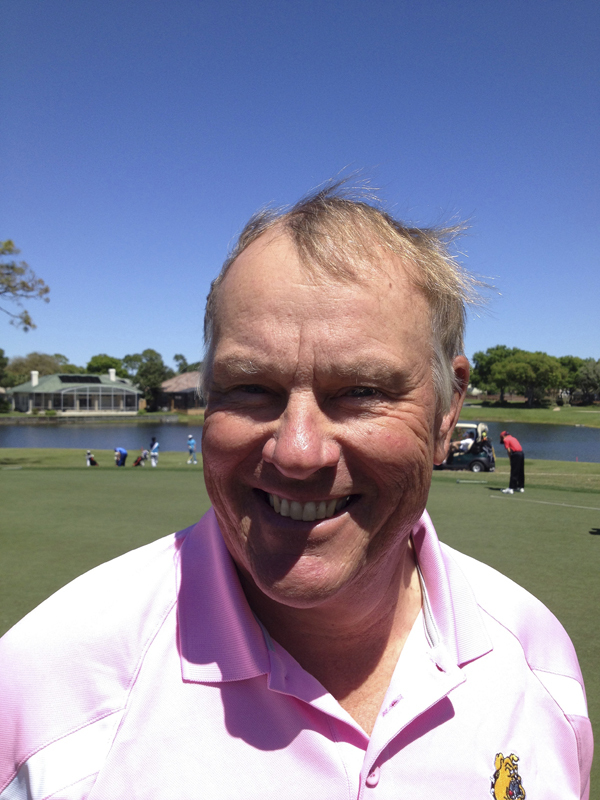 Welcome Terry Rowles, newly certified PuttingZone Academy, former head of instruction for David Leadbetter Academies and top California teacher, SF Golf Performance Center, San Francisco CA. Welcome Dr Tom Purtzer of Medford OR as the 89th certified PuttingZone Coach -- a fantastic 4 days in southern Oregon at Eagle Point Golf Club, with Patrick Orapallo! Welcome University of Houston Cougars Head Coach Jonathan Dismuke (L) and Assistant Coach Chris Hill as the two newest PuttingZone Certified Coaches! Two great teachers now part of the PZ community. 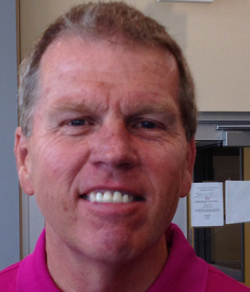 Welcome Allen Terrell, Head Golf Coach at Coastal Carolina University, Conway SC, at TPC Myrtle Beach, as the 106th PuttingZone Certified Coach! 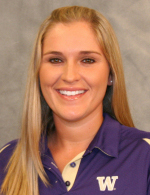 Welcome Megan McChrystal, who now joins the PuttingZone as the 105th Certified Coach, as she will combine occasional teaching and coaching with her professional playing career. Visit Megan's brand new website! www.meganmcchrystalgolf.com. Visit her "Partners" page for more. Elk! - fantastic round 3 at Whistling Straits -- 6 birdies and 31 on back nine now T7 2 back of 2nd and 5 back of leader. The physics of Ball-Hole Interaction determine smart "delivery speed" for touch -- it's not personal. New Podcast on Reading Putts at GolfSmarter.com -- me and my pal Fred Greene talking greens and surfaces and fall lines and breaks and touch-speed imaginings and greens architecture etc! Lots of food for the golfing soul! Listen free here. According to Fred: "We usually average about 4,000 downloads per new episode in the first few weeks after the show is published. The first of our 2 episodes of the PuttingZone Green Reading podcast has already generated 66,496 downloads!!!! Congrats! 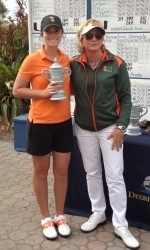 to Katie Burnett, USC Gamecocks golfer Class of 2012, for winning the LPGA Q-School Stage II by 6 shots! 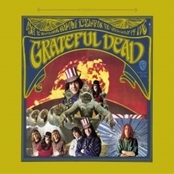 68-68-66-71 -15! Katie played at USC for Coach Kalen Anderson, a PuttingZone certified teacher, and the Gamecocks won the Regionals last year with Katie and also finished 5th in the NCAA Finals, the team's best-ever finish. 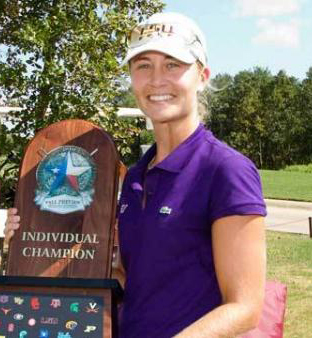 Katie also won this year on the Symetra LPGA Tour. View the online PuttingZone Calendar of Clinics here. Beijing Shichahai Sports School, beijing China, 11 April -- 21 April 2014. European Clinics Tour, 8 May thru 8 June 2014 in Spain, Germany, France, Belgium, Holland, Denmark, and Sweden, with pro teacher Certification programs -- contact for details. 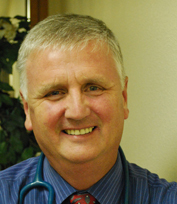 Want to see a clinic in your area? Click here and say something and we'll work it out ... Anyone interested in PZ Coach's Certification, we can arrange the time and place! FIND A PUTTINGZONE COACH NEAR YOU! in a larger map -- now 23 Academies and 175 Certified PZ Coaches teaching in 21 Countries Worldwide! 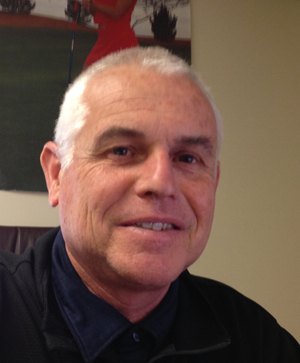 Mike Thurston, Head PGA Professional, Hampton Heights Golf Course, Hickory NC. 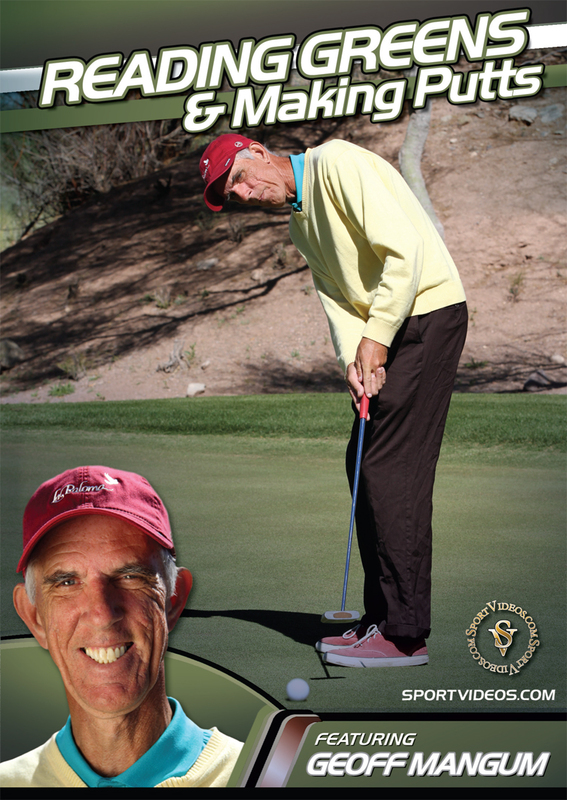 Certified PuttingZone for over 8 years, played competitive golf starting at age 12, PGA Golf Professional for over 30 years searching for ways to communicate with others the simple ideas that have not changed and have remained the same through the generations and continue to produce easy simple swings that each person can continue to improve because of sound principles. 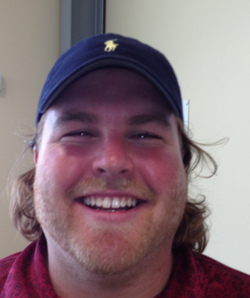 Give Mike a call at HHGC at 828-328-5010 at the Course or 828-308-0373 on his personal cell. Welcome Ralph Landrum, Dave Peru, Leo Fante, and Myles Mahan as the newest certified PuttingZone Coaches! Florence KY World of Golf and Landrum Golf Academy! 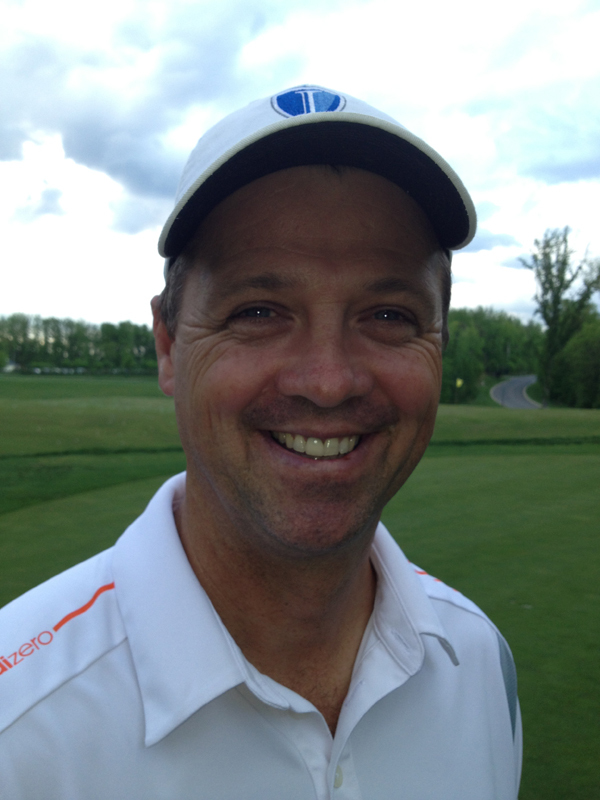 Welcome Tim Brown at Lake Presidential GC, Upper Marlboro MD, as the 161st PuttingZone Coach! Tim is a longtime leader in the Nicklaus-Flick Golf Schools now teaching at The Institute at Lake Presidential GC in the Greater Washington-Baltimore metroplex! PuttingZone now featured in the New England Golf Monthly website and print -- NE's leading golf publication! PuttingZone online Library Catalog: Research Golf putting here in my personal library -- about half cataloged so far. Here comes Megan! Stepping out of LSU collegiate golf into the pro ranks -- lowest career stroke average in LSU history by 2 strokes over next best, 7 top-5s in 10 starts in Senior season including 2 wins and 2 runner-up finishes, lowest round in NCAA Championship history in 2010 (64 with 9 birdies and 1 bogey); five career wins ... one great golfer now in the hunt! 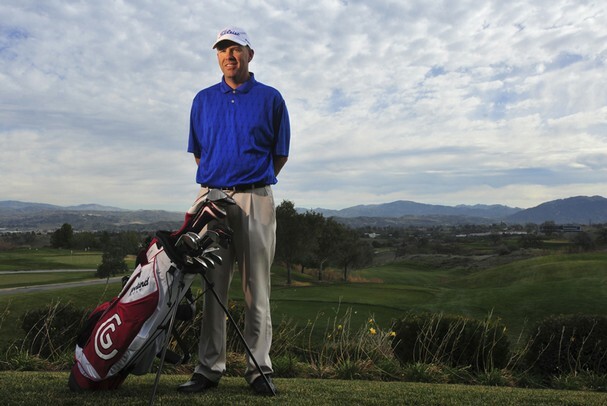 PuttingZone Coach and top California Teacher Steve Holmes Healthy and Dreaming Again in Ventura, Ventura County Star, Feb 18, 2010. Lots of NEW FREE DOWNLOADS, including 6 PuttingZone PowerPoint Presentations and new PDFs about Reading and Lag Putting! 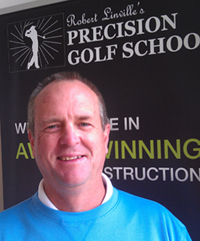 Welcome Robert Linville and his Precision Golf School as the 23rd PuttingZone Academy and a new personal base for Geoff Mangum's teaching in Greensboro NC at Bryan Park Golf Club! Welcome 10 New PuttingZone Coaches! 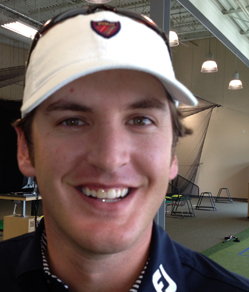 Welcome, Ryan Vermeer, the 117th PuttingZone Certified Coach and Player, Oak Hills CC, Omaha NE -- former All-American at KU and Pro player, now playing and teaching with his well-known father Bob Vermeer at Oak Hills. 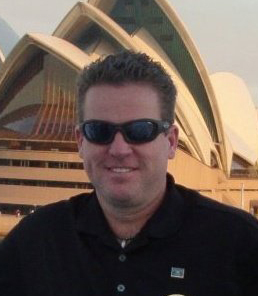 Welcome Curt Sanders, Atlanta GA, as the 110th PuttingZone Coach and Player! Congratulations to these PuttingZone-trained players! Congrats to Megan McChrystal at LSU for medalist honors in the NCAA Div I Central Regional at Notre Dame! Eight on Your Plate -- a collection of eight seminal science studies affecting putting skills that you might like to review. PZ Brain Science -- a select compilation of 57! YouTube video lectures from the world's top neuroscientists as a quick way for golfers to get a serious introduction to the 21st century about the brain and the body that has simply left psychology, sports psychs, motor learning experts and golf teachers way, way behind. It's a new world for golf ... don't sit out the party! PZ Selection of 200+ Scientific American Articles on the Brain / Mind in Modern Neurocience -- those that might have application to the perceptual and movement brain processes and other processes that ae at play in putting skills. For more valuable free downloads, click here. Thanks to Jose at the Compton Community Center, Compton CA, for letting me know about this website on the neuroscience of human memory in the brain: Human Memory and the Brain. Any of you "young scholars" out there who want to help us golfers learn more about the human body and brain so we can putt better, by all means send me email! 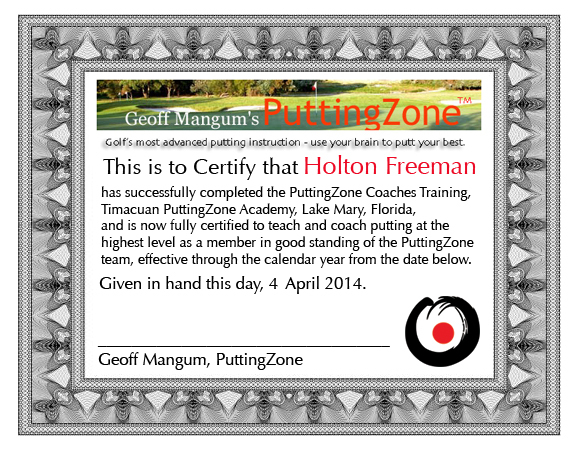 geoff@puttingzone.com. Thanks, Jose! 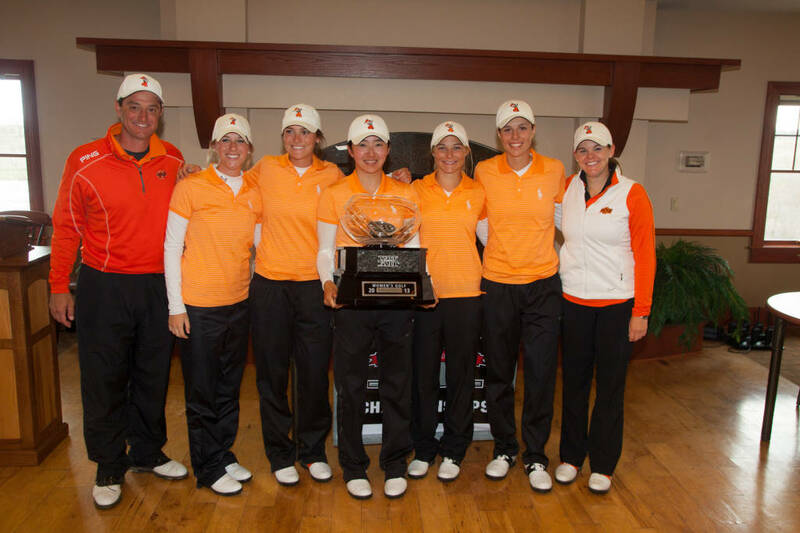 Congrats Kelsey Vines and the Oklahoma State Cowgirls for winning the Big-12 Championship, with Kelsey leading the team. Congratulations Manon Gidali at Arizona for Win in Hawaii and for Team win also -- her third collegiate win in 2 years! (click link to read the story). Congratulations Kelsey Vines at OSU for taking the #1 Rank in NCAA Division I golf with a W and two T2s start this season! 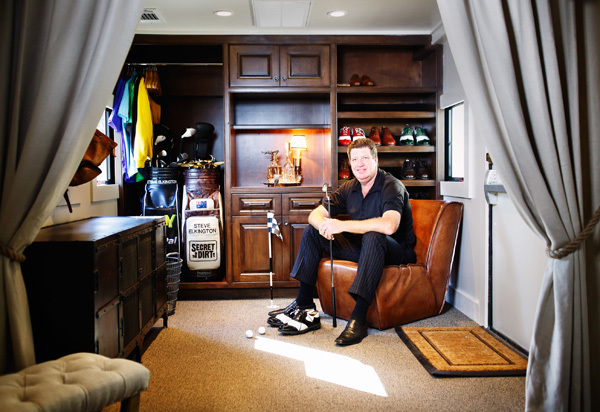 Read the Golfweek Story: "Vines ascends to No. 1 behind putting"
Congratulations Jack Sullivan on winning his flight in Georgia Super Senior Championship! 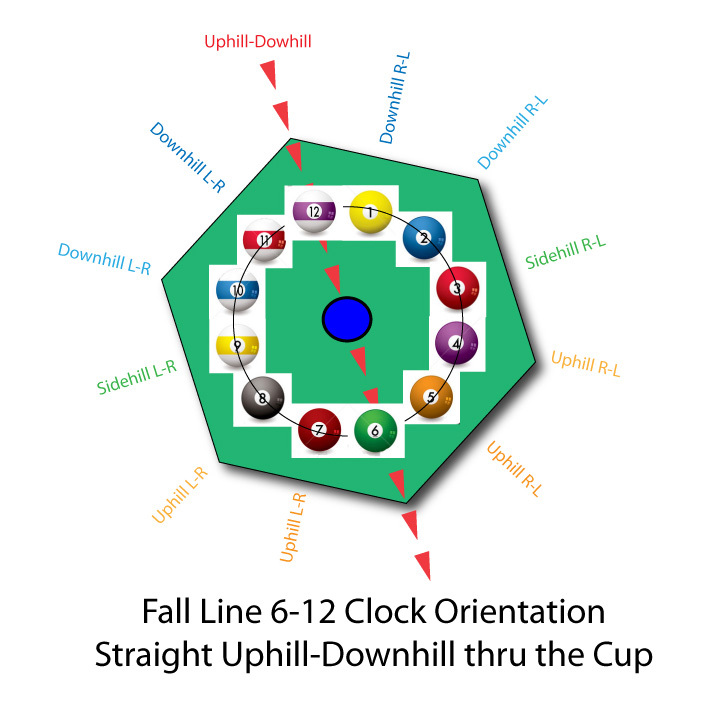 Golf's most advanced putting instruction.